Greig Laidlaw kicked the decisive penalty in the 78th minute as Scotland sealed a thrilling 29-27 victory over Italy in the final round of the Six Nations Championship clash at Stadio Olimpico on Saturday. Fly-half Tommaso Allan kicked a sixth-minute penalty to kick-start the proceedings for Italy but three minutes later Fraser Brown dotted down as Scotland claimed a two-point lead. From a line-out drive, they worked the ball inside for Allan, who sold Huw Jones with a cute dummy before scampering in to dot down. They spotted another hole in the Scots’ defence seven minutes later when full-back Hogg moved into the defensive line, allowing Allan to drop the ball into the space behind with Minozzi beating Watson in the footrace to score. Scotland's response came in the 25th minute through John Barclay and a conversion from Laidlaw meant the scoreline was 17-12 in favour of the hosts at the end of the first half. Scotland paid for their errors as Zander Fagerson dropped the ball after coming in the second half and that provided the opening for Allan to score his second try as they increased the lead to 12 points. The Dark Blues needed a desperate change of momentum but Finn Russell limping off did not help their cause. Ali Price shifted to scrum-half with Laidlaw assigning the number 10 role and the duo paid a key role in sending Sean Maitland over the line in the 60th minute. Laidlaw also played an important role in setting up Stuart Hogg's touchdown in the 70th minute as the Dark Blues claimed a 24-26 lead with nine minutes to go in the game. 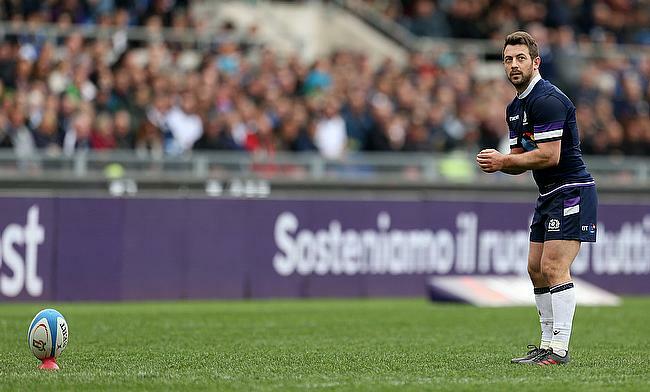 Allan with his second penalty in the 75th minute got Italy to a one-point lead but Laidlaw held his nerve and kicked the decisive penalty in the 78th minute to help Scotland complete a 27-29 victory.